Looking for a lot of extra gee-bees on a budget for your smartphone or tablet? SanDisk's almost unnecessarily ginormous 128GB microSDXC card is on sale at both Best Buy and Amazon today for just $99.99 shipped. 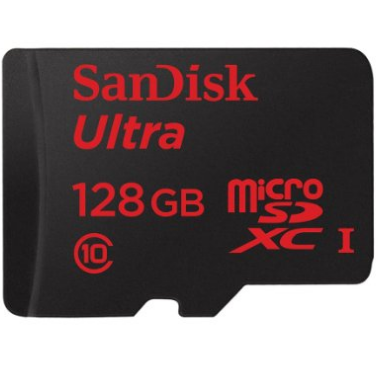 Both sites do charge sales tax in most applicable states, so watch out for that, but otherwise this is the lowest price we've seen this 128GB at by a solid $20, making this a genuine article at a genuine discount.